I’m not some hipster where everything has to be homemade and local in order for me to enjoy it. That said, there is something satisfying about crafting your own products. I have a job that is online and markets others people’s stuff but I don’t make anything myself. That is why it feels good to take raw materials and make something usable out of your efforts. The great thing is it is very simple to make. In fact, I didn’t even follow the recipe right and it still turned out right. 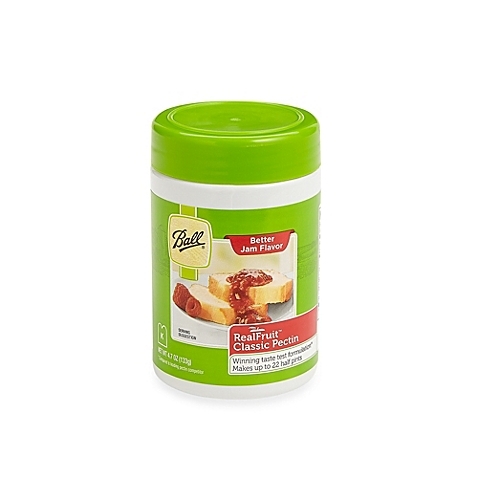 I had 10 cups of raspberries and I used 10 tbsp of this real fruit pectin (any pectin will do). Then you mash the raspberries (mine were very soft so just a spoon was all I needed). Then I had 20 tsp of lemon juice. I saved myself from all the juicing by using bottled juice since it is mostly for the acid. Then add 2 tbsp butter and let mixture boil for 2 minutes. (I put sugar in at this point but you aren’t supposed too. I read the directions incorrectly but it didn’t matter). Take off heat add the sugar 10 cups (It makes a lot of jam) and then let it get to a rolling boil again (so it can’t be stopped by stirring). Let boil for 2 minutes. Let cool and then skim off any foam and put into jars. 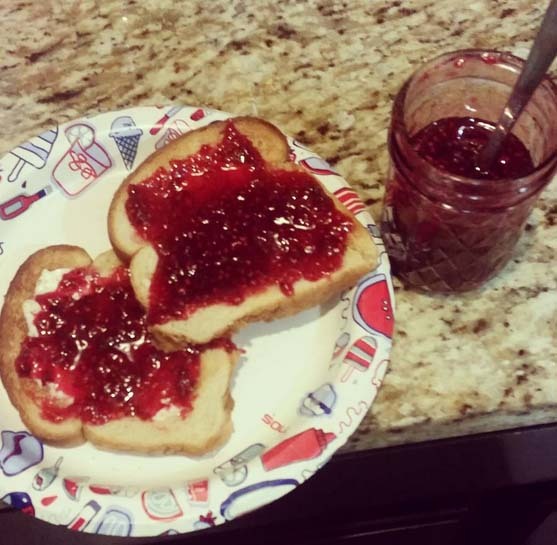 I don’t use a canner for this kind of jam. All you have to do is put on the seal and ring and turn it upside down and it will set. (you can tell if it is set if you press down on the seal and it doesn’t pop back up on you. And that’s it!! 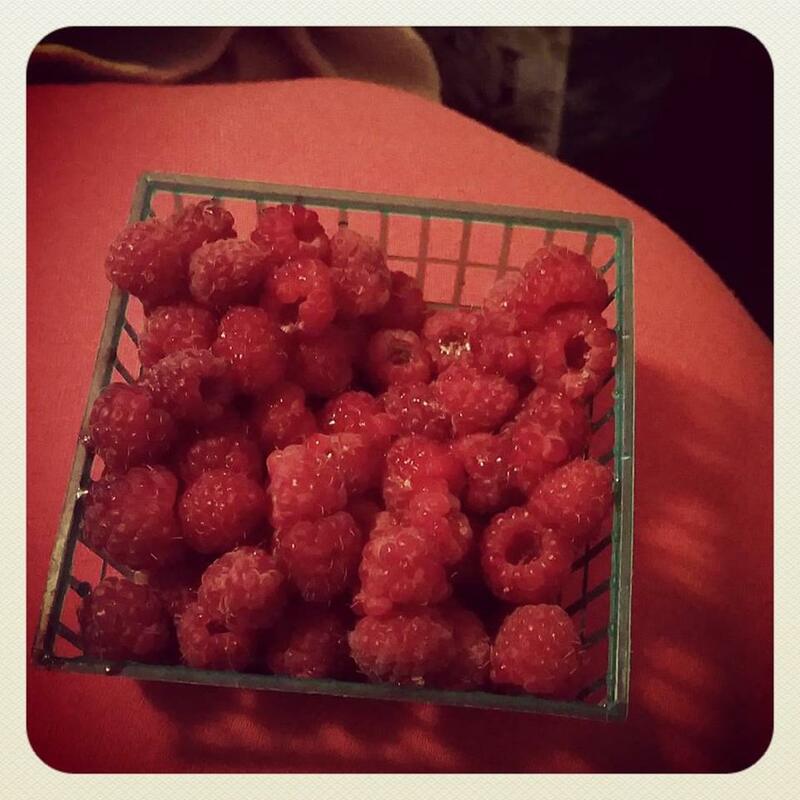 Raspberry is the easiest of all because aside from washing there is no prep work for the fruit. That’s what made peach jam so difficult is the peeling, pitting and chopping of the fruit. 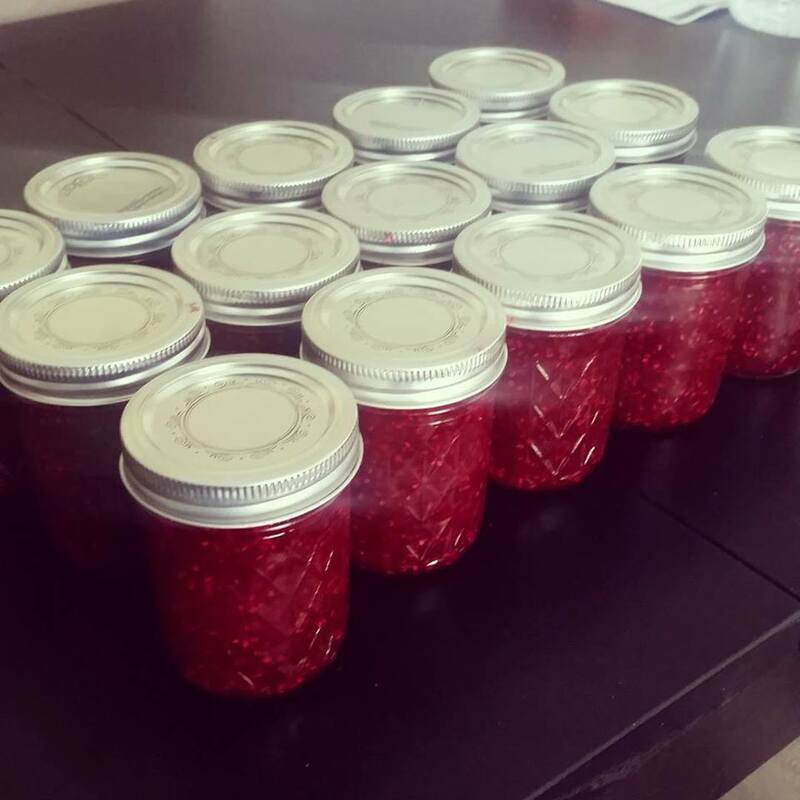 I have also made strawberry jam and that is so good but is still more work than raspberry (but a lot less expensive). All of them are delicious and fun to make. Especially if you have a family it could be a great project. I would like to branch out into other types of preserves such as ketchups, chutneys and pickles. Do any of you can or preserve your food? I’d love to hear your recipes. I’ve always thought of recipes as suggestions, anyhow. Applesauce is really easy, when you use a crock pot. No stove-top babysitting required, and just a short boiling-water bath to seal the jars. What I wrote in Chapter 17 of “Irish Firebrands” is all there is to it. (The cinnamon and sugar can be omitted.) If you’ve got hard water that leaves a film of calcium on the outside of your finished product after the boiling-water bath, just wipe the cooled jars with a cloth that’s wet with vinegar. Nice, sparkly-looking preserved fruit! It’s easy. If you use small jars (12 oz, or 1/2 pt), your spaghetti cooker may be deep enough. The jars have to stand on a rack, and be fully immersed in boiling water (2 inches over the lid) for the whole processing time. Rings should be applied only fingertip-tight (water does not get in while processing). Tomatoes and fruit (all in a single variety, no combinations) are the only things you can safely do in a boiling-water bath. For detailed instructions, I recommend “Putting Food By,” in any edition you can find.